It seems like there may be a hint of truth to the strength of Spiderman’s webs. A group of scientists studying arachnids were astounded when they took a look at the threads spun by brown recluse spiders: they’re flat and has the strength of industrial-grade fabric like Kevlar. Spiders have specialized organs called spinnerets to produce and sew silk strands together. It’s further divided into parts which enable the spider to form loops with the thread similar to how sewing machines do it. Brown recluse spiders are known to be venomous – a single bite can cause necrotic ulcers that can puncture holes in the tissues of its victim. However, they’re also the only known species of spider which produces flat-shaped silk instead of the usual cylindrical form. What intrigued the scientists most is how these spiders weave their silk threads. Further magnification of the silk threads revealed nano-sized loops which strengthen the fiber’s overall structure. The silk’s strength is necessary for the recluse spider’s survival since they dwell on the ground. Their environment makes the dynamics for hunting prey different from spiders that feed on flying insects. According to the scientists, although the threads are flat, they’re as tough as the tubular silk threads created by other species of spiders. Its adhesive property is also similar to a packaging type but much thinner and stronger. The thread’s strength is attributed to its ribbon-like structure weaved into minuscule loops. There have been many attempts in the past to reinforce synthetic materials with similar tiny loops but they easily broke. This finding gives new insights to mimicking nature’s way of developing fibers stronger than synthetics. 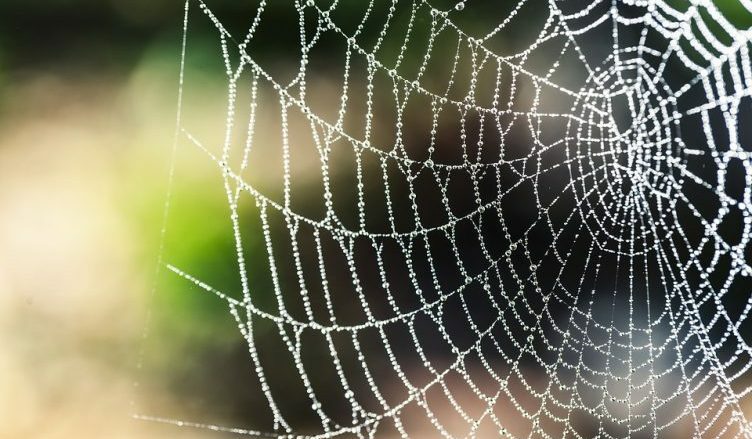 Hannes Schniepp, the lead of the study, believes that if the material used to create the spider silk is employed together with their weaving technique and applied to a larger scale, we may be able to produce synthetic materials that are several times stronger than Kevlar fibers. Possible applications include its use in the creation of better parachute straps which undergo tremendous stress upon opening and in the development of protective webs for space stations. Scientists have yet to apply the technique in synthetic materials, but developments have already started. Mathematical models detailing the strand’s structure and properties have been created to aid in further investigations. Polymers like plastics require oil compounds to be created. With the increasing call to shift to renewable energy, coupled with depleting oil reserves, scientists have been looking for sustainable alternatives to plastics. This may be one of the solutions to an upcoming dilemma.